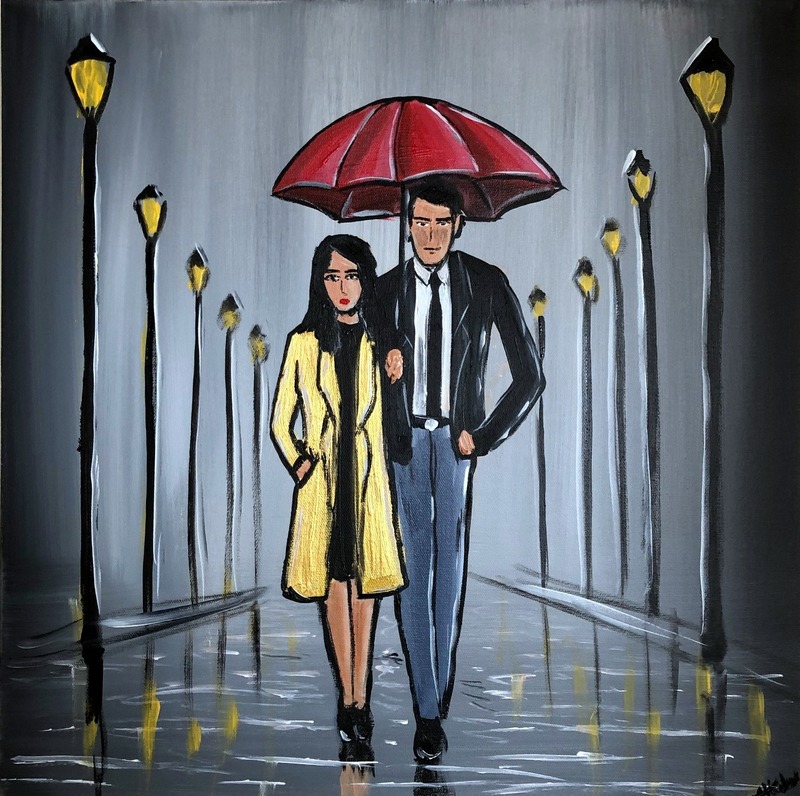 Description: a modern contemporary romantic painting of a couple under a red umbrella. This painting continues over the sides so it may be hung without a frame. The aping has been signed in the corner and has been varnished with gloss for protection. The painting will be carefully packed into a custom made box and delivered within 2 working days by a tracked courier service.